It is a story about a geek who has lost the feeling of the edge between reality and his fantasy. He likes to imagine himself as a movie hero (especially when watching trailers!) and one day, sitting with his friends at the cinema, he gets a chance to become a true hero, not only in dreams! The key peculiarity of the movie is it`s experimental format. The main action is set at the cinema, but in the plot there are several fake trailers involved in which our Hero is starring. 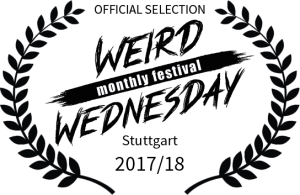 WW0711 statement: Very relatable characters are put into an unbelievable situation that offers many smart and funny meta-observations about film, trailers, fandom and… hormones? Well done!